This entry was posted on 12th September 2018 by Judith. Often considered a practice of the more geekier strain of gardener, saving seeds (of certain plants) is, however, easy and accessible to anyone. Why bother though? 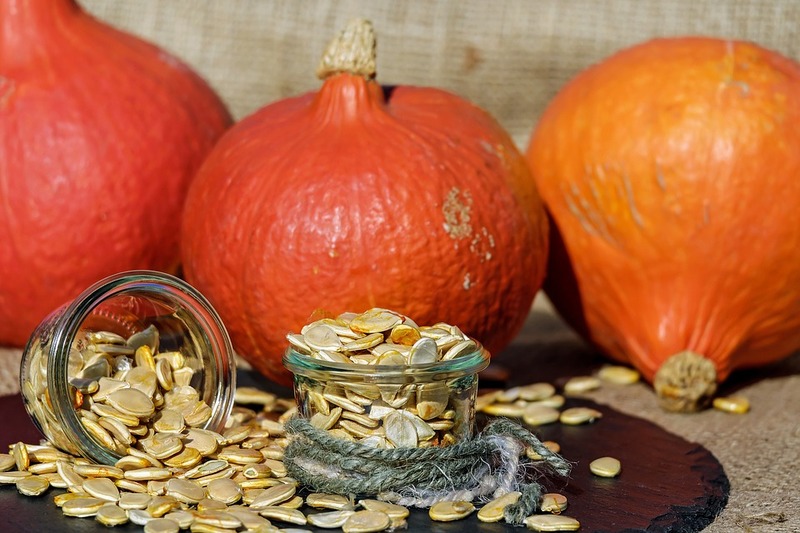 There are many far reaching reasons why small scale seed saving is important. In particular, the large scale loss of genetic diversity brought about by narrow breeding for commercial varieties and massive consolidation within the seed industry are a serious threat to food security and sustainable agriculture. These concerns are highlighted well by the organisations linked below. However, there are sensuous snd practical payoffs for messing around with seed saving too. For a start, you get to experience the complete life cycle of the plant which begins and ends with the seed. This is especially interesting with biennials that we normally pillage for their edible parts before they have a chance to flower. (Have you ever seen a parsnip in full bloom?). Plants typically give birth to an abundance of seeds meaning you will often have enough seed for a number of years with plenty left over to swap or give away. Often varieties are dropped from seed catalogues - saving your own seeds means you are not depending on the whim of seed companies to provide a favourite variety. And of course, some seeds are a delicious source of food themselves. Knowing a bit about plant slap and tickle helps a lot when dabbling with seed saving. It will let you know how likely it will be that the seeds saved from your plants will remain true to type; that is to say, resemble their parent plants so that you can grow them out again and expect the same qualities in the crop. Two factors are most important here: Whether plants are genetically disposed to pollinate themselves or require pollination from another plant and the structure of the flowers. Pollination is the union of male genetic material (pollen) with female genetic material (ovules) within the flower parts of plants. When this occurs viable seed can produced. Plants can have a tendency to pollinate themselves (selfers) or necessitate pollination from a different plant (outcrossers). With self pollination, a flower’s own pollen reaches its own ovule and self fertilisation occurs. Outcrossing plants have mechanisms to prevent this happening so that the pollen from another plant is needed to fertilise the ovule. This is an evolved trait to ensure genetic diversity – the very reason for the evolution of flowers. In practice, plants usually exist on a spectrum between in and out crossing with both often possible. More care is needed when saving the seed from outcrossers. To produce true to type seed from these it is necessary to insure there is large distance or physical barrier between them and any other plant of the same species. For example, if you let a cabbage cross with a cauliflower which are the same species, you will end up with seed that contains genetics of both. The resulting plants will be something between both and not likely to be a useful crop. 'Perfect' - Flowers that have both male and female bits. Most of our vegetable species have this type of flower (Brassicas, legumes, carrot family, Alliums and nightshades). 'Monoecious' - Separate male and female flowers exist on the same plant (squashes, cucumbers and maize). 'Dioecious' - Individual plants produce either only male or only female flowers (spinach and asparagus). 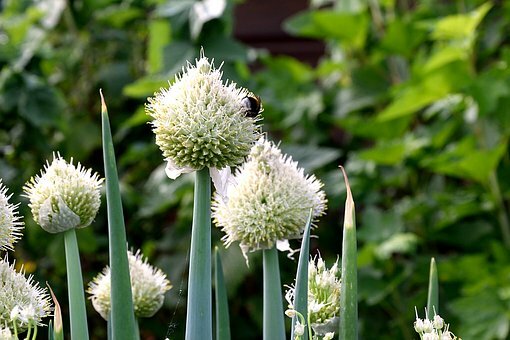 The easiest plants to save seeds from are those with perfect flowers that self pollinate. These tend to have a very low risk of cross pollination and will most likely come true to type. There are a few cultivated vegetables that not only fit this bill, but also have the added feature that fertilisation occurs within the flower buds before they even open. These include tomatoes, lettuce, peas and french beans. In these cases, there is only a tiny chance of cross pollination occurring (certain bees can force their way into the unopened flower bud - bumblebees bite their way in). Lettuce grown for seed needs to be grown in a polytunnel or glasshouse really as wet Irish autumns can cause the ripening seed to succumb to mould. Indeed, the wet climate is one of the biggest challenges for Irish seed growers trying to ripen seed. Tomatoes require the seeds to be fermented in water for a few days to remove the germination inhibiting sac that covers each seed (it's easy though). The easiest of all so are probably the peas and beans. 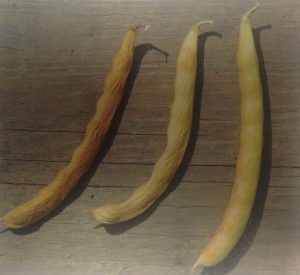 Resist harvesting the pods on some of your beans or peas and allow them to ripen on the plant. You will know the pods are ripe when they have changed colour and become brittle and dry. If pods look just shy of ripening as the first frosts approach, the whole plant can be pulled up and hung upside down in a dry shed to finish the ripening process. This might be a useful thing to do anyway in the Irish climate to ensure they dry throughly. Dry pods for a further two weeks in an warm airy place. This will finish off the ripening and drying process. Break open the pods to check the seeds. If you cannot make a mark on them with your fingernail they are ready for storage. If you can make a mark on them just dry them a bit longer. Store in a container somewhere dry, dark and cool. A charity organisation that works hard to conserve Ireland's plant genetic resources. The country's sole public seed bank is located there and over 600 varieties are stashed away that can't be found anyhwere commercially. They run workshops throughout the year where they teach people how to save seeds and grow their own food. Based in West Cork, Brown Envelope Seeds has been producing certified organic vegetable, herb and cereal seeds for farmers and growers since 2004. Their work has proven how seed for every common vegetable type can be produced despite the challenging wet climate for seed production here. Their catalogue contains more than 100 varieties and various workshops take place during the year. Part of The Gaia Foundation, the seed sovereignty programme was set up to increase the availability of organic seed by supporting and developing regional hubs of seed producers. They provide training and equipment as well as carrying out variety trials and other such good deeds.